I’m sort of obsessed with chocolate, especially Lindt and I try to add it to every dessert I make. 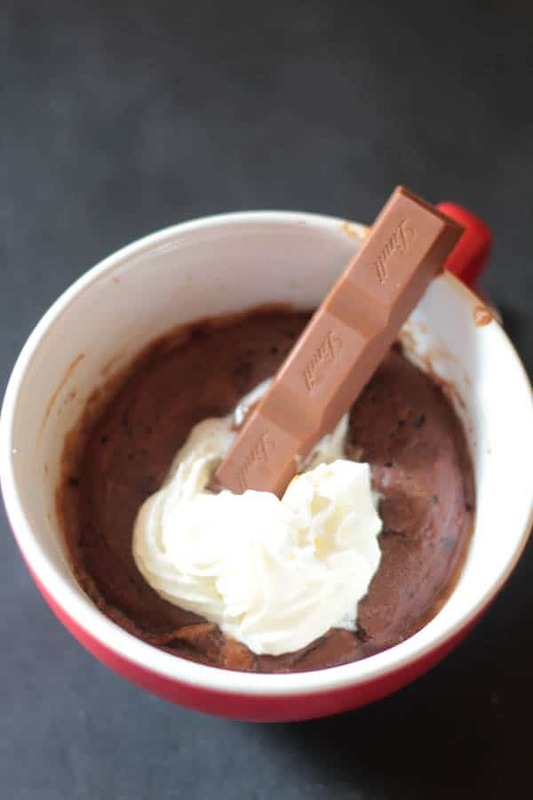 And this Lindt Chocolate Lava Mug Cake is the answer to all of the lazy chocoholics of the world. See, there’s always a time for extravagant desserts such as this Oreo Brownie Chocolate Trifle or this Midnight Triple Chocolate Layer Cake with Pink Buttercream Frosting. But the thing about those desserts (as good as they are) is that they take time and effort and are definitely more than enough to feed a crowd. This Lindt Chocolate Lave Mug Cake is perfect for all of us lazy chocolate lovers who want to quickly satisfy a chocolate craving. The thing though about normal mug cakes is that I always feel there’s something lacking, I want them to have a more chocolatey oomph. So I ended up coming up with this mug cake that’s a little bit over the top, and very easy and fast to make. I love Lindt chocolate, especially their milk chocolate Lindor. Eating a Lindor is like getting a warm chocolatey hug. And Lindor is exactly what I use in this recipe. 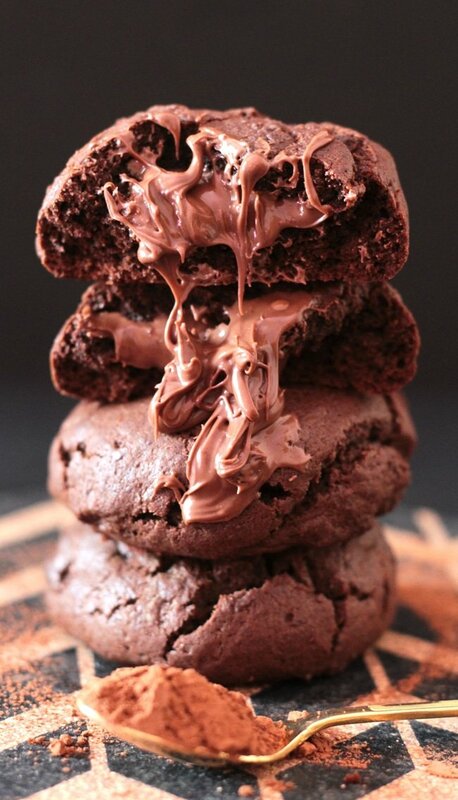 Of course, you can use your favourite Lindt chocolate. Or any other chocolate. 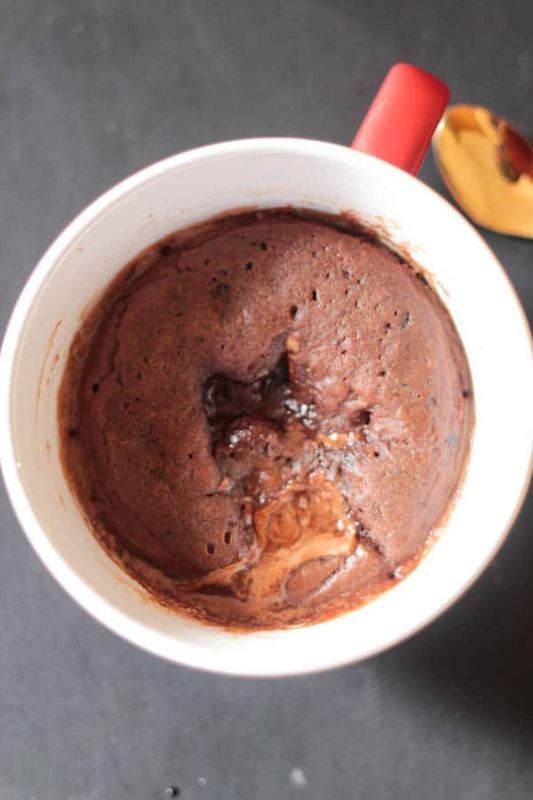 So why should you make this Lindt Chocolate Lava Mug Cake? 2.) It’s made from Lindt chocolate! 3.) It’s a mug cake and requires like zero effort. P.S. This post is not sponsored by Lindt. I’m just a huge lover of Lindt, and wish I could live in a Lindt store forever and ever. That’s all. This Lindt Chocolate Lava Mug Cake is the perfect solution to quickly satisfy a chocolate craving. There's Lindt chocolate in the batter itself, and also in the middle which results in a meltingly delicious chocolate lava mug cake. Pour milk and place pieces of 1 bar of Lindor in an oven proof mug (reserve the other 1/2 Lindor bar). Heat on intervals in the microwave until the chocolate is completely melted. Add the dry ingredients and whisk with a fork until thoroughly incorporated. Break the reserved 1/2 Lindor bar and place it in the middle of the batter for the mug cake, but not completely submerged in the batter. Add the 1 tablespoon of hot water on top of the chocolate pieces. Cook for about 1-2 minutes (depending on your microwave) in the microwave until the top of the batter is no longer sticky. Top with whipped cream, and enjoy! Lindt is one of my favourite chocolate brands! 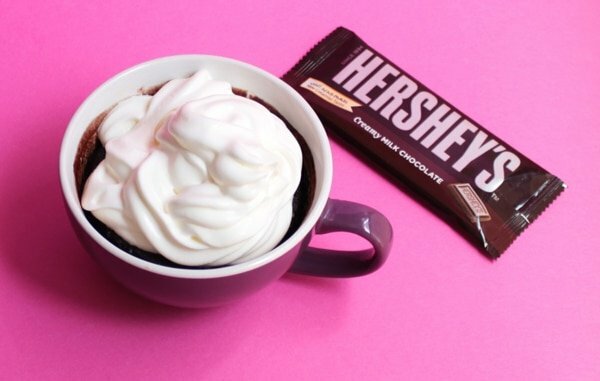 I am all over this chocolate mug cake! Could you check the spelling/instructions? Number 1 and 2 are confusing. Add place pieces? Should work be fork etc? Thank you. I am obsessed with mug cakes at the moment. It’s so nice to be able to get that chocolate cake fix without having loads of leftover cake to tempt me. A marriage of perfection – smooth Lindt and 2 minute cake! That looks great! 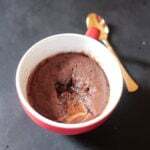 I’m sure making it with melted chocolate instead of cocoa powder gives this mug cake and amazing flavour. Yum! This is so good!! Thank you for making this wonderful recipe….Now I have my midnight snack for tonight..I really love this recipe and I’m going to do this again and again!! !